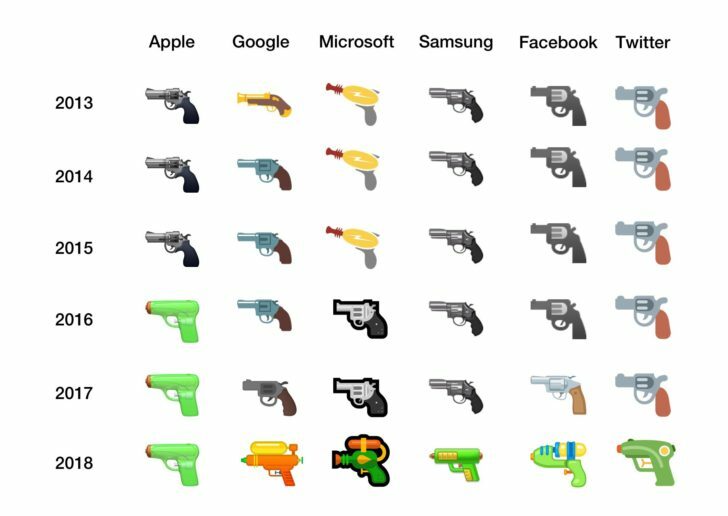 Following Google's announcement, both Facebook and Microsoft have committed to changing their gun emojis to water pistols. In other words, all major vendors have now switched to water guns. A few years ago, Apple was the first big emoji designer to stop rendering the "pistol" emoji as a real gun. It went from a revolver to a green squirt gun, and other companies have just started coming around. Twitter and Samsung already made the change, and now it's Google's turn. Say goodbye to the revolver and hello to the super soaker. Google has updated its Noto Color Emoji repository on GitHub with the new emoji. That indicates that Android P will feature the redesigned pistol emoji. It's orange with a large yellow water reservoir on the top. So, it's a super soaker, which is even more toy-like than the other squirt gun alternatives we've seen. 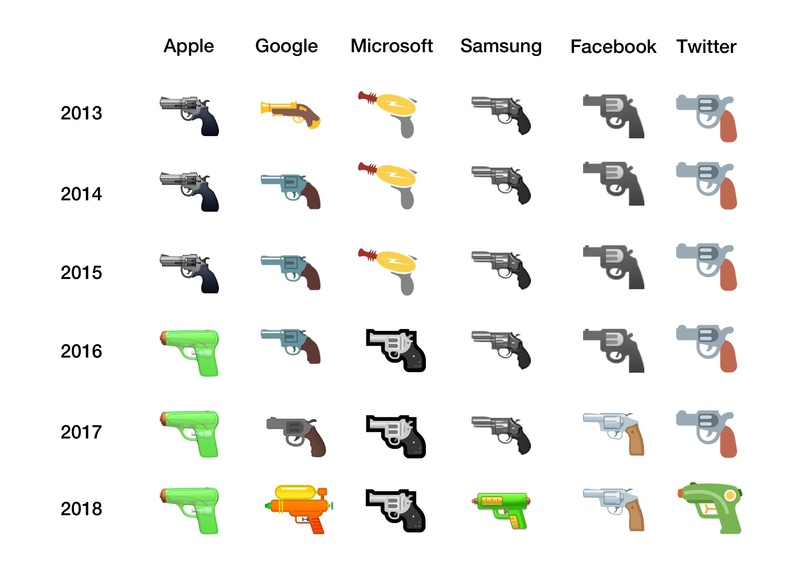 You can see below how the Google pistol emoji has changed over the years—my personal favorite was 2013. Very whimsical. Some users are fiercely loyal to their emoji. You might remember how hard the loss of the Android blob emoji hit us last year. Some will no doubt point out changing an emoji is a meaningless gesture, but public opinion in 2018 is shifting. 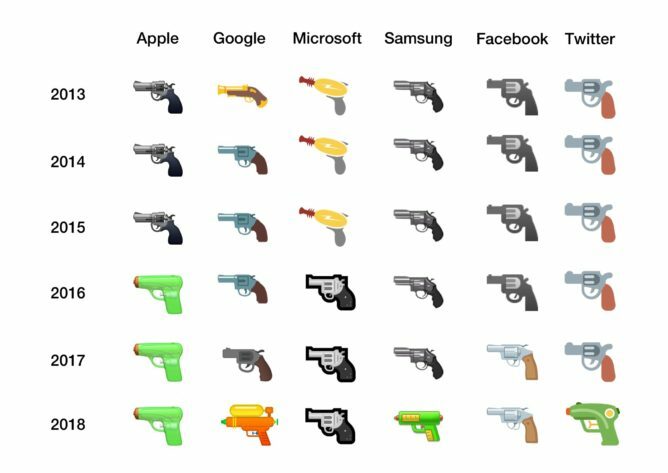 It just seems in bad taste to have a realistic gun emoji these days. A representative for Facebook told Emojipedia that the company changed its emoji to keep in line with other vendors. That was likely the main reason for Microsoft's shift as well, although the company cites "feedback we've received" as the primary reason.